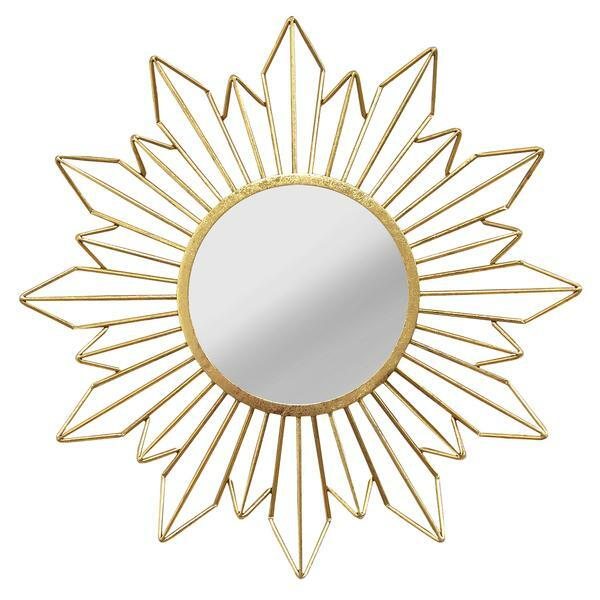 Oxford features radial rays of sunshine around a beautiful gold encircle mirror. Makes a terrrific focal point for any design. Made from metal with a hand painted gold finish. Customizable for larger orders.